1. We rescue horses that have been abused, neglected, abandoned, bound for slaughter, injured or unwanted in any way and give them safety, rehabilitation and comfort in our open air horse lifetime sanctuary ranch. 2. 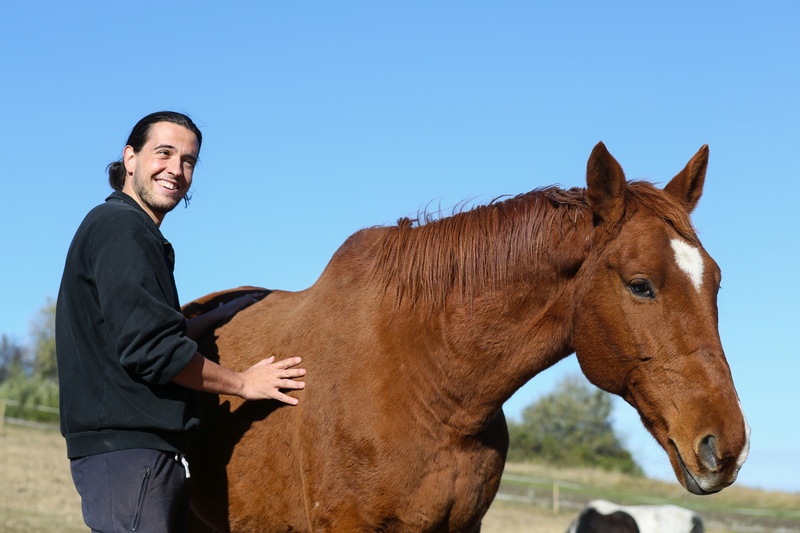 Our purpose is to serve the disadvantaged and at-risk youth and young adults suffering from psychological disorders and provide them an alternative community outreach program that is based on the combination of horse loving care therapy, physical work and creative hands-on art workshops. We believe that our program will help our participants heal from their emotional traumas and foster hope by showing that they are needed, appreciated, accepted and loved throughout the entire mind-, body- and spirit-healing process. The focus is on how to disconnect these kids from the compulsion for conformity of the virtual life they live in by filling emptiness with real values and content – a method that we believe will ultimately change their lives. As initiated, developed and executed by Samsara Festival Europe’ Social Responsibility Program, Dharma is NOT funded by the government, we depend on charity support, grants and our sponsorship program. We have no paid employees and are solely run by volunteers, our board members and people who care. Want to be member of our team? Interested in our workshops? Write to us!